I feel awful. I feel horrible. I feel horribly awful. I totally let the ball slip this year regarding Mother’s Day. Like did not even know what day it was until pretty much just days before. I mean I even wrote a whole article about serving Mom brunch for Mother’s Day AND still had no clue that it was May 8. Is it always this early in May? Is it always May 8th? Despite what I said about how grateful I am for my own Mother in that article, I got her nothing for Mother’s Day. Nothing. Notta. I did get her a card but it is still sitting on my desk. I did call her on the big day but since I was over 1000 miles away on an impromptu vaycay that is all she got. I then went to visit my Mom this past weekend and was going to make her dinner but she beat me to it. So in honor of my Mom (and Mom’s everywhere) I will be sharing a week’s worth of my Mom’s famous recipes (well at least famous in our house). Honestly I had planned on doing this BEFORE Mother’s Day but well I won’t go through all that again. 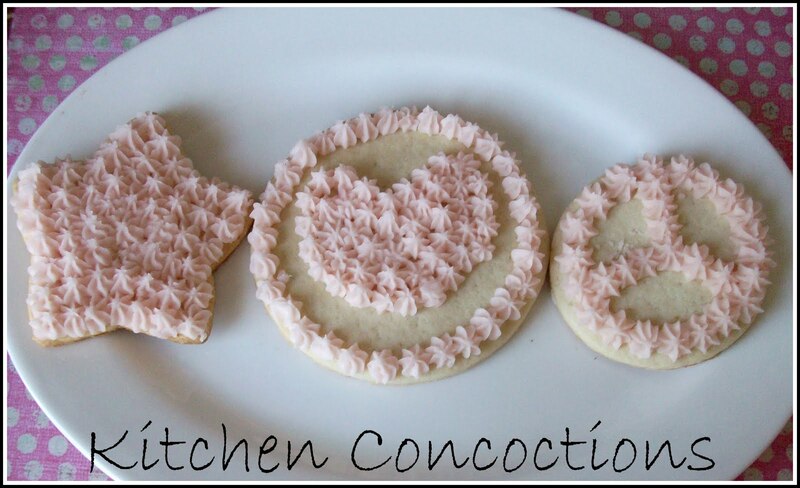 First up my favorite sugar cookies. These buttery, crispy sugar cookies are what my childhood was made out of. I mean literally we made these for EVERY holiday. Christmas, Halloween, and Flag Day too! So let’s hear a great big HERRAW for my Mom and sugar cookies. Looking for a wonderful, thoughtful Christmas, wedding, birthday, baby being born, welcome to the ‘hood, etc. etc. gift well, read here why cookie cutters are the perfect gift! Cream butter, vanilla and sugar together; add eggs to cream mixture; add remaining ingredients. Roll out dough to approximately 1/4 inch think. 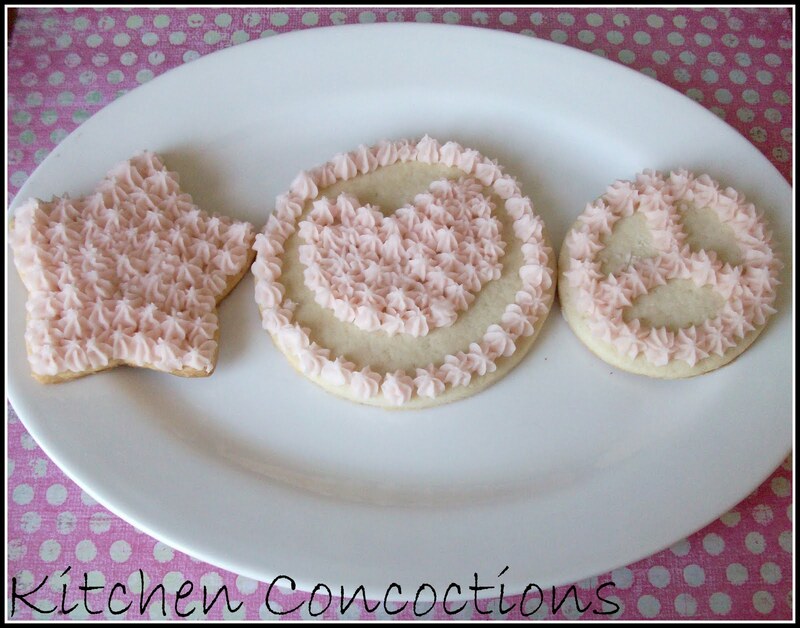 Cut cookies using desired cookie cutters. Place cookies on an ungreased cookie sheet. Bake at 400 degrees 6 – 7 minutes. Let cool and frost with frosting. Cream butter, vanilla, and milk. Add powdered sugar and beat until frosting is smooth and of spreading consistency. « What’s on YOUR list??? I will have to show Mom this! You are not a horrible daughter! I wish I could have been there this past weekend!